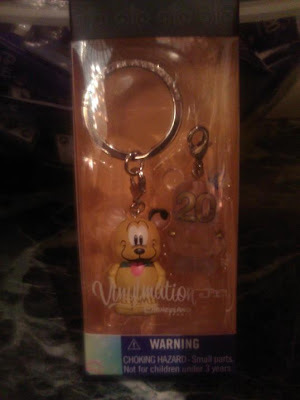 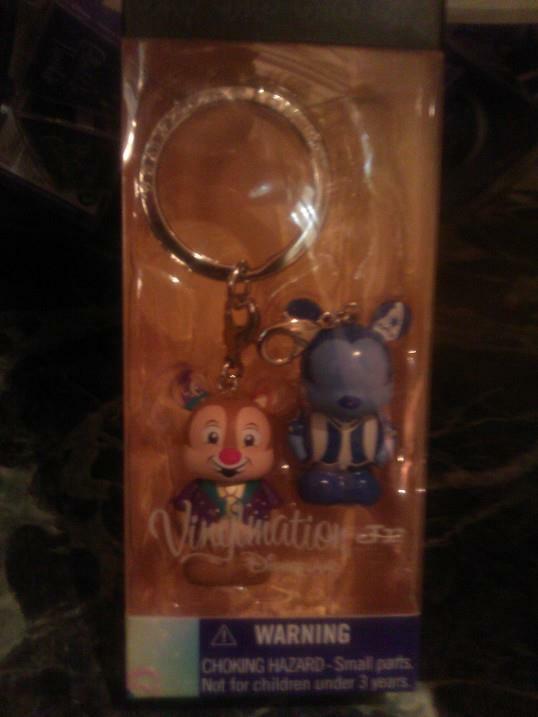 Thanks to the Disney Showcase Key blog (on twitter @DShowcasekey), we now have word that the Paris 20th anniversary Vinylmation are on store shelves at DLP. 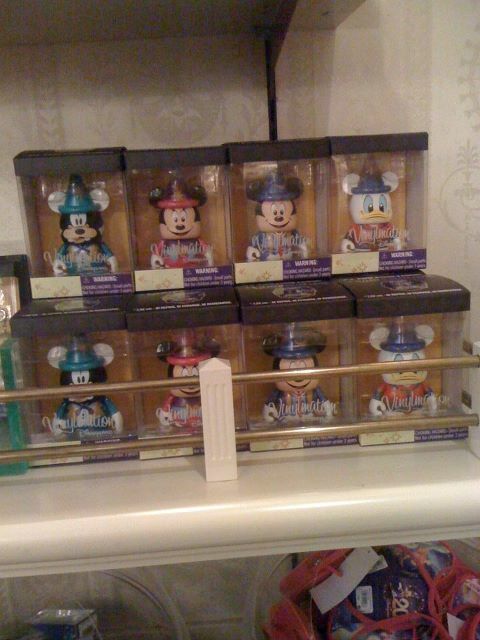 Here is a look at the shelves at Harringtons, a store on Main Street in DLP. 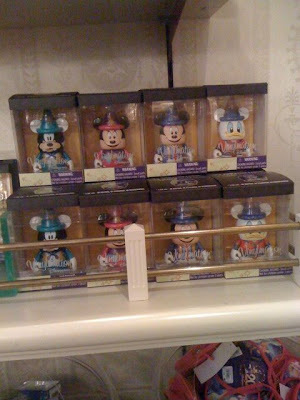 The four 3″ figures are Goofy, Mickey, Minnie and Donald in DLP costumes. 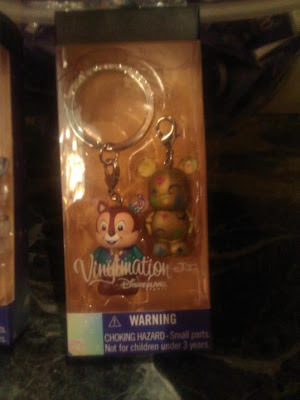 There also seem to be four different Jr Keychain combos each including a Disney character and a second figure with logos or symbols from the DLP 20th celebration. 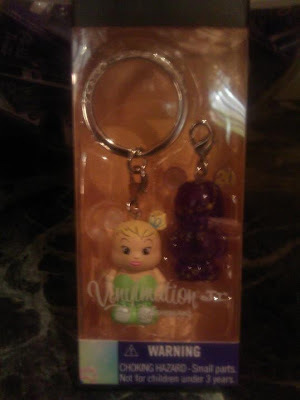 That little Tink is SOOOOO CUTE!!!!! Very excited about the 3″ figures and the Pluto key chain…..sure don’t want to pay eBay prices.